From cake factory to managed space. Windermere Business Centre has been providing managed office space in the heart of Windermere for almost 20 years in addition to a variety of other business ventures. Following recent developments in the management of this family owned business a major programme of investment is now underway. Ground floor space is being transformed to create a new reception area, a break out/business lounge, meeting space, hot desk provision and three separate areas of bespoke office accommodation providing 660, 720 and over 1000sq ft of modern managed office space. Once home of Atkinsons Cake Factory, and dating back to the early 1900’s, some of the industrial heritage of the building is being recaptured in the refurbishment which, once completed, will enable a wider cross section of local business needs to be accommodated than has previously been possible. 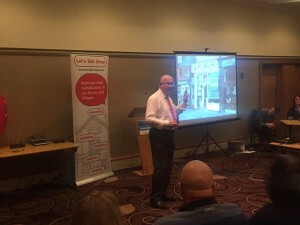 Having been associated with the Business Centre for over a decade, and based within it for a number of years prior to establishing Let’s Talk Shop, it is pleasing that Lets Talk Shop Ltd has now been contracted to assist in the management of the Centre going forward and helping to drive development of the opportunities that it will provide for small to medium enterprise development in South Lakeland. Watch this space for more news of this exciting development. Tuesday April 12th sees the commencement of another round of Let’s Talk Shop activity across East Lothian. Following presentation of an evening retail workshop in Haddington on Tuesday 12th our Shop Doctor will be carrying out up to ten one-to-one advisory visits to independent retailers in the area during the rest of the week. This will be the third occasion that Let’s Talk Shop has been contracted by East Lothian Council to work with retailers and the initial visits will be followed up with a revisit to monitor progress and identify any new opportunities later in the year. In my recent revisit to retailers in Kirkcudbright it was pleasing to see that many had taken on board recommendations made to them following my original one-to-one visits. Internal changes implemented within many of the shops was identified as helping to materially improve the way customers “shopped the shop” and contributed towards a more active retail environment during what had not been the best of trading years. Grant assistance from Dumfries & Galloway Council had also enabled a number of the businesses to upgrade their shopfront presentation and the examples show some after (on the left) and before (on the right) images of a small selection of the businesses visited. Whilst some changes are quite subtle (such the graphics in the window at Belfry Cafe) and the simple repaint at Wm Law other retailers such as Kennedy’s and Tollbooth Gifts have delivered more dynamic change and materially improved their impact in the town. With the majority of shops in Kirkcudbright occupied the town presented a varied and active retail environment and, like so many of the towns in Dumfries & Galloway, one well worth visiting. Excellent evening with the team from Invest in South Lakeland at their Business Event at The Low Wood Hotel in Windermere last night with fellow speakers Nick Comer, Rosetta Brands Ltd and Justin Grammer, PS Business Matters. Thought provoking and entertaining insight into the effective use of the ever changing world of Social Media from Justin and always enlightening to hear the story of the online development of Rosetta Brands. 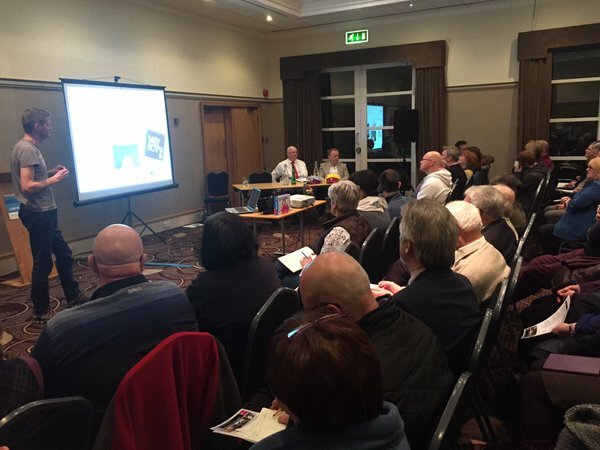 The Invest in South Lakeland Team at South Lakeland District Council are holding a free Business and Networking Event on Thursday 10 March at Low Wood Hotel, Ambleside. Doors will open from 6pm for networking, refreshments and registration and the event will start at 6.30pm finishing at 8.30pm. This free event is open to any South Lakeland businesses including those wanting to re-locate to this area. Please register online on www.southlakeland.gov.uk/b2b (please note that places are limited to 2 attendees per company). Jamie Reed MP for Copeland had recently asked a parliamentary question to the Chancellor of the Exchequer as to whether he plans to offer deadline extensions for tax due by businesses affected by flooding in Cumbria. Opening hours are Monday to Friday, 8.00 am to 8.00 pm; Saturday and Sunday, 8.00 am to 4.00 pm, excluding bank holidays. cancel penalties when the customer has missed statutory deadlines due to the floods. If your business has been affected by the December floods the team at Cumbria Chamber of Commerce can almost certainly help, and they have previously helped Cumbrian businesses through Foot & Mouth, the 2005 Floods and the 2009 Floods. The Rural Shops Alliance is becoming aware that current Rural Shop owners wishing to refurbish or expand their business and those looking to purchase a rural shop are finding it increasingly difficult to secure loans and mortgages from banks and other providers. 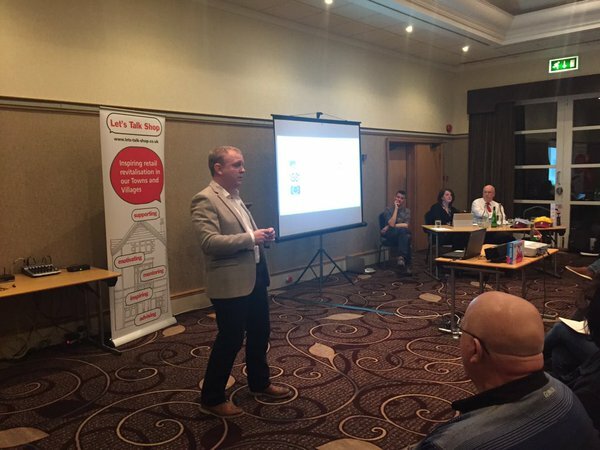 They would like to hear from anyone who has been refused a loan or mortgage or had any other similar problems, particularly if a specific reason for refusal of the loan or mortgage has been given. 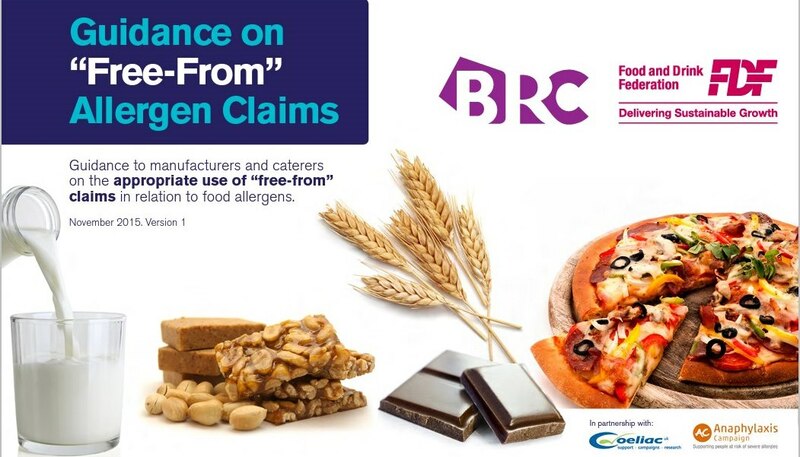 The British Retail Consortium and The Food and Drink Federation have released a guidance document advising retailers, producers and authorities on how to make a ‘free-from’ claim on a product in order to regulate free-from allergen claims on food and drink packaging. Currently there are no specific rules at either UK or EU level governing the use of ‘free-from’. This guidance will help business operators know when and how to label and also provides an overview of relevant UK and EU legislation. It will also give help with the key things to be considered with regard to appropriate manufacturing practices and also when carrying out a risk assessment. Larger stores will have to ensure that the relatively complicated rules on when charging applies is passed down to individual checkout operators – and then make sure that the process is properly managed. Added complications include dealing with home deliveries, and how to control charging for bags at self-service checkouts. Smaller businesses, who do not have to charge, may see some regular customers asking for bags on a more frequent basis so that they can stockpile them to use for free during their visits to the supermarket. So what should small businesses do? If they carry on supplying free bags they might find that they will have to buy more bags to satisfy increased demand. If they charge will it put them at a disadvantage against the big boys? The decision might be based on what actually happens in an individual business but, in reality, if customers accept paying for single-use bags at the supermarket will they quibble if they have to pay in smaller shops, particularity if the money raised is used to support recognised good causes. Maybe it would be easier if a 5p charge just became the norm.